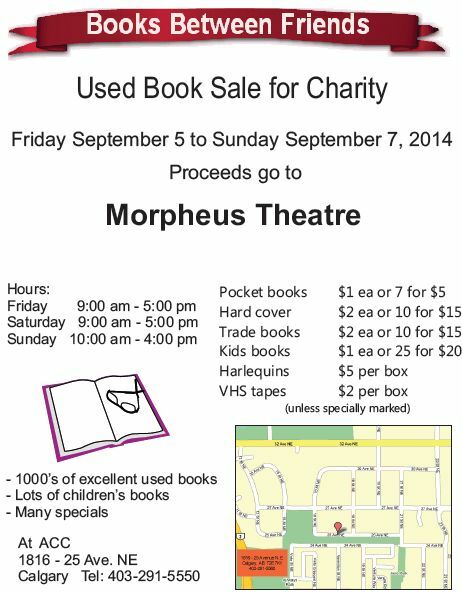 Morpheus Theatre will be holding our annual book sale from Friday September 5th through Sunday September 7th. A big thank you to the many donations of books. Now we encourage you to take an hour out of your weekend to check out the large selection of books at very affordable prices. 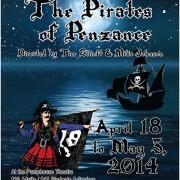 Proceeds from the book sale support Morpheus Theatre’s productions this season. Click here for directions to ACC and our book sale. 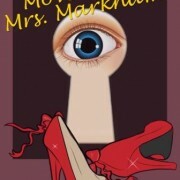 Morpheus Theatre is pleased to announce the cast of our 20th season opener – Move Over, Mrs. Markham. Morpheus Theatre is proud to announce our new website launch aligned with our 20th season announcement of shows worth seeing. 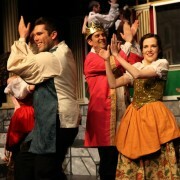 April 29, 2012 7:00pm at the Pumphouse Theatre for one performance only!